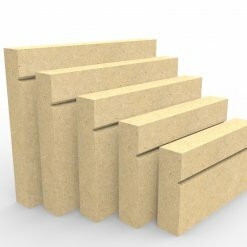 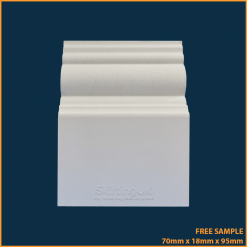 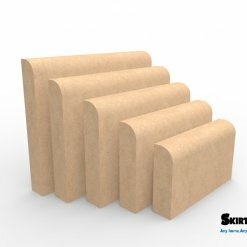 We manufacture and supply a wide selection of quality MDF skirting board that are perfect for homes and commercial premises across the United Kingdom. 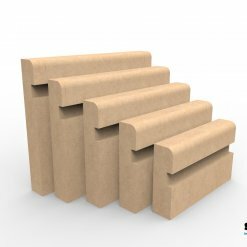 Whether you are looking for something modern or traditional, we have the ideal profile for you and because you can specify the height, depth and length of each section you order, you know there will be no problems when it comes to installing it in your property. If you already know what you want, please feel free to place your order online right now: we will process it as soon as it is received and ensure that your consignment is dispatched without delay. 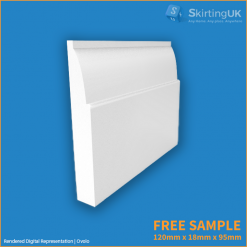 If, on the other hand, you are still trying to decide which type of skirting board is best for your needs, please do not hesitate to call and speak to us whenever convenient.